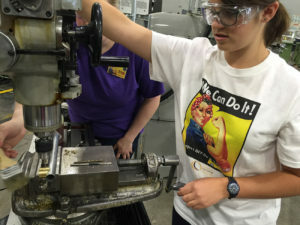 Community College of Denver’s Project DIY Summer Camp introduces high school girls to manufacturing programs and STEM careers. This summer, 18 girls from Denver Public Schools got their hands dirty at Community College of Denver’s (CCD) Project Do It Yourself (DIY) summer camp. The camp gave students from 9th, 10th and 11th grades hands-on experience in manufacturing programs and exposed them to women leaders in STEM (science, technology, engineering and math) careers. 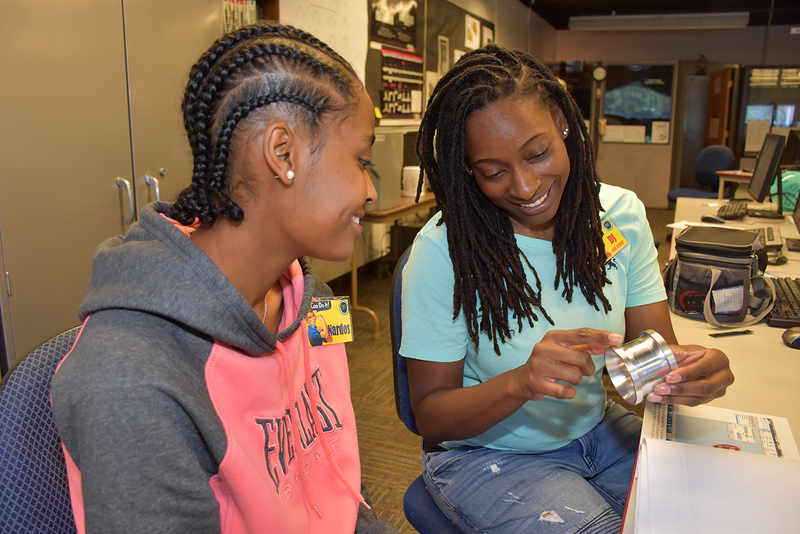 The idea behind Project DIY is to engage young women in careers that are non-traditional for them such as welding, machining and engineering graphics and mechanical design. Two week-long camps were held and financial support was provided by The Women’s Foundation of Colorado. Each day brought about a new introduction to STEM careers, including talks from Ala Ahmed, Civil Engineer, and Debra Wilcox, owner of The 3D Printing Store. The high schoolers discussed the stereotypes and perceptions women are taught about traditional female and male careers. It was impressed on them that these stereotypes are not the reality, but that they have led to a low percentage of women working in STEM fields which are dominated by males. The girls eagerly stated that these stereotypes will not be a reality for their generation or for future generations as well. 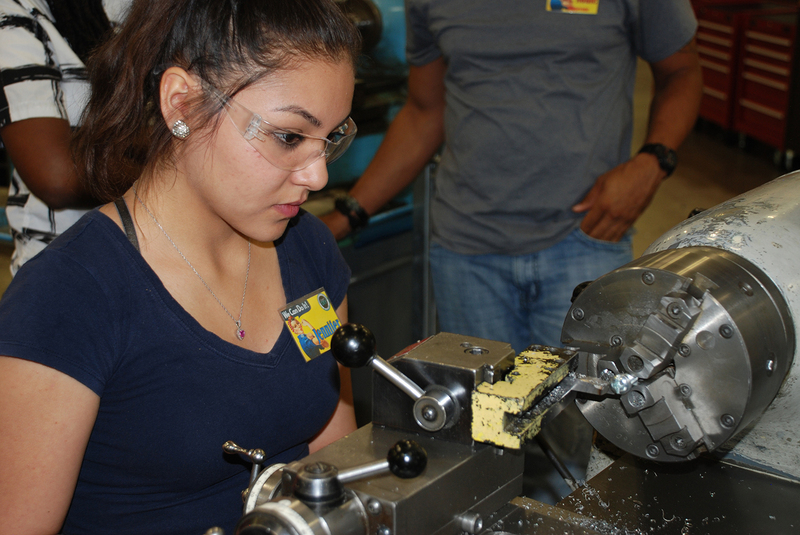 The final two days of the camp, spent at CCD’s Advanced Manufacturing Center (AMC), a new state-of-the-art 30,000 square-foot training center for CCD’s welding and machining educational programs, were the high point of DIY. There, the girls were introduced to CAM software and manufactured a 3 ½ inch model wheel on CNC machines. This was attached to a piston keychain made of brass and aluminum for each participant to take home. The sparks flew when the girls were given the chance to observe a live welding demonstration, which introduced them to stick and TIG welding techniques. A welding simulator provided a hands-on experience while a few attendees practiced actual stick welding with the assistance of one of CCD’s welding instructors. The final project brought broad smiles after the girls created their initials in metal using the CNC plasma cutter. The camp concluded with the students hosting their families to a ‘show and tell’ of what they made and learned. Students fostered bonds of friendship and revealed what’s possible in STEM career fields.